This project required taking up existing screed and tiles from an access stair at one of Portsmouth University’s main buildings. We used a Ronacrete Fast Set, 24 hour overlay system. 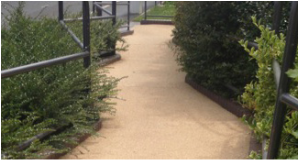 This was followed the next day by an application of a Ronacrete resin bonded surface with Bauxite non-slip finish. 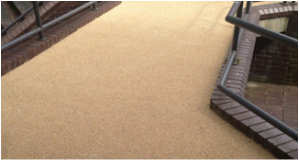 After this - and to complete, we removed any excess Bauxite and applied two coats of UV seal coating to the complete area.